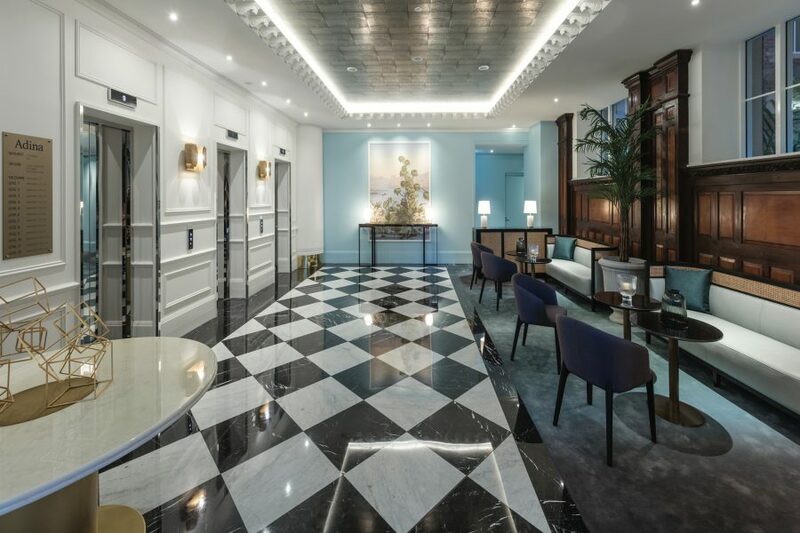 TFE Hotels has opened the doors of the new Adina Apartment Hotel Brisbane, which offers views over the Brisbane River and interiors that transport guests back to the grandeur of the early 20th century. 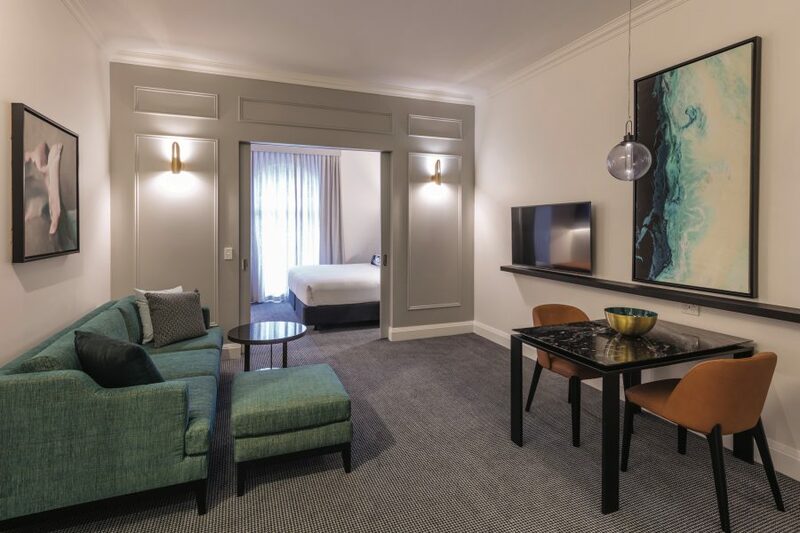 On the corner of George and Elizabeth streets in the city centre, this beautiful new hotel is housed in a restored Heritage-listed building that was completed in 1922 to accommodate the Queensland Government Savings Bank. The hotel now offers 220 luxurious rooms and suites, and includes an extra five levels designed to complement the historic building, with expansive views and balconies for many of the rooms. The banking hall has been transformed to accommodate a new hotel lobby and restaurant, with a bar below. The lobby celebrates the building’s 1920s origins, with impressive double-height original timber-panelled walls and ornate ceiling roses. 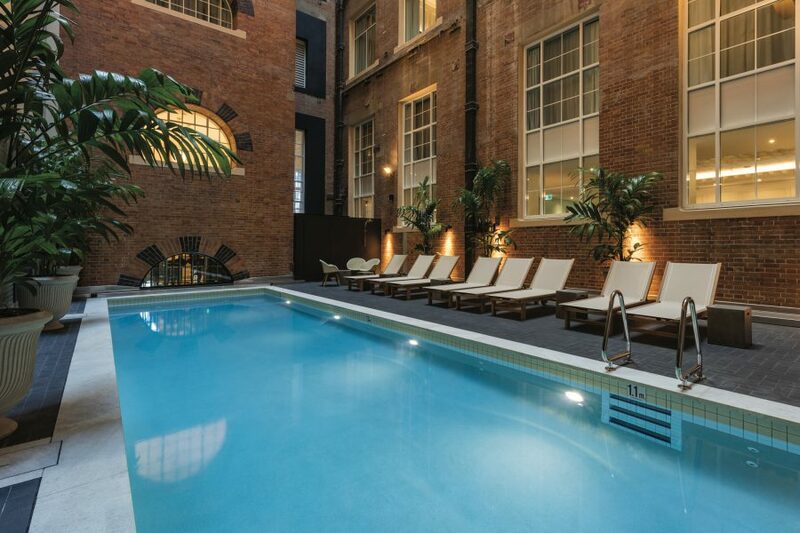 TFE Hotels Chairman, Allan Vidor, said: “The hotel creates a real point of difference for the Brisbane market, with its magnificent sense of history, and its wonderful setting, just a few steps from the waterfront and close to the heart of the city. “This will be a flagship for the Adina brand, which has developed since its beginnings in Sydney in 1982, into a collection of apartment hotels in Australia, New Zealand and Europe,” he said. Typical of the Adina brand, the apartments are spacious and contemporary, providing guests with the comforts of home. Each apartment combines its own kitchen, laundry and living room with the ease of full hotel services including 24-hour reception. This hotel features luxuriously appointed rooms, quality finishes and TFE Hotels’ new signature Dreamcatcher bed. The ground floor restaurant, Donna Chang (the name is a tongue-in-cheek reference to a Seinfeld episode) will open soon. It is described as a “dining experience for the senses” that gives a gentle nod to Sichuan flavours and authentic Cantonese cuisine. The restaurant is a much-anticipated opening, by Ghanem Group, the team that created Blackbird Bar & Grill on Eagle Street Pier. Donna Chang brings together a stellar line-up of industry leaders, spearheaded by Executive Chef Jake Nicolson (formerly of The Lakehouse in Victoria, Spain’s El Bulli and The Ledbury in London), Head Chef Jason Margaritis (formerly Spice Temple, Melbourne) and 2014 Good Food Guide Sommelier of the Year, Penny Grant. Below the restaurant, a 250-seat bar called Boom Boom Room will fuse avant-garde design with an inspired cocktail list to form an opulent basement-level lounge. The bar will be housed in the space where the bank’s vaults once were, providing a visually dramatic setting. TOGA Group orchestrated a careful and sensitive renovation of the original building with Tanner Kibble Denton Architects. The eight-storey Queensland Government Savings Bank was built from 1913 to 1922, with construction hampered by material shortages throughout World War I.